Super Mario Run is another brilliant game from Nintendo which has grabbed the attention of millions of people all over the globe. The previous title Pokémon Go from Nintendo was also a success. In Pokémon Go the company and developing team showed amazing capabilities of AR and how AR could be the future of gaming. However, Super Mario Run is a totally different game that has nothing to do with the future but it is specifically designed for people who loved Mario few decades ago. Mario has come back to life after so many years and people have welcomes it with open arms. Super Mario Run is available for iOS and Android devices, and it is compatible with phones as well as tablets. The developing team has made the gameplay pretty easy to understand and a new player can learn the game in few minutes but it is extremely hard to master and that’s where the real fun lies. The Android version of Super Mario Run has been downloaded more than 50 million times and it is compatible with all Android devices running 4.2 and above. You can download the game for free from Google Play Store and the free version comes with some unlocked modes. If you want additional features, you can unblock them via IAPs. These items are priced at $10 which many people complain is too much for an IAP but considering the hype, sound effects, developing efforts, graphics and the overall gameplay, the high price tag is explainable. Interestingly, you can play all three modes without making any payment as the game offers limited trial. After trial expiration, you can buy all three or any of those modes. There are three modes: Kingdom Builder, Toad Rally and World Tour. In Kingdom Builder mode, players have to gather as many toads and coins as possible to build their kingdom. There are more than 100 types of items in this mode and players can build different types of building to give their kingdom a unique look. In Toad Rally mode, players can make stylish moves and share their progress with their friends and other people all over the globe. You can compete with friends or top players in the world by making those moves which are applauded by a crowd of toads. In World Tour mode, Mario can run to save princess. This is the most popular mode among all three and the majority of players buy this after the trial period ends. 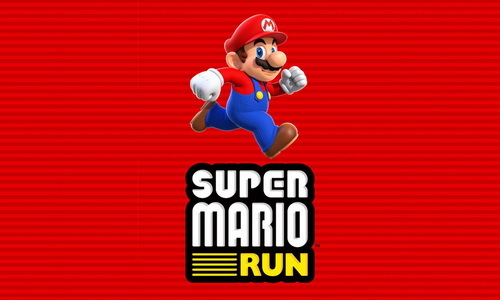 Super Mario Run is a fun game and hopefully we will see more titles from the company in the near future.